Making a Will is a simple process. Even in circumstances where a more complex document is required your Solicitor is best placed to help you produce a document to meet your requirements going forward. We like to think of a Will as a living document in that it is only the final Will held by an individual on his death that is decisive. In other words, a Will once made can be changed by the individual making the Will during his lifetime. It is inconceivable that an individual who has worked hard during his lifetime to acquire assets for his Family would then leave the devolution of those assets to chance on his death. However, the sad fact is that this is a regular occurrence. 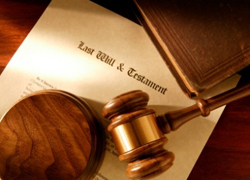 It surely goes without saying that an individual should direct who is to receive his assets after his death as, when this is not done the Law steps in under the Succession Act 1965 and makes provisions which might not necessarily reflect what the individual would have wanted. While Enduring Powers of Attorney are not an entirely a new concept they have, perhaps, been, in the main, ignored by people in regularising their affairs. 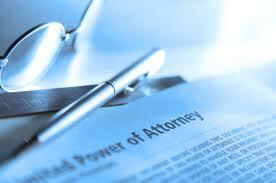 An Enduring Power of Attorney is a very powerful document which allows an individual’s affairs or business to be run in the unfortunate event that he/she is debilitated due to illness or otherwise incapable of attending to these matters. An Enduring Power of Attorney is capable of being a very wide ranging document where the appointed person may, in certain circumstances, make decisions in relation to the welfare of the individual granting the Power, in relation to where he should live, what medical care he should receive and what should happen to his assets. Have you ever considered who would deal with your affairs and make personal care decisions for you in the event of your mental incapacity? Do you wish to appoint the person to represent you in the event of such an occurrence (rather than leave the issue in the hands of the High Court Wards of Court Office)? If you have answered “Yes” to either of the questions, then you have recognised the need for an Enduring Power of Attorney. A Will operates from death only and does not allow anyone to make lifetime decisions for you.